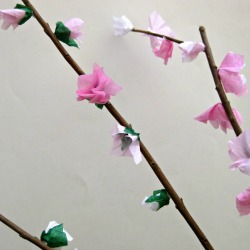 The perfect Spring craft project to share with your child. You start by taking a nature walk together, then share craft time together and finally enjoy your beautiful Cherry Blossom project together. It’s easy enough for children 3-4 years of age and fun enough for children of all ages.